The offseason just keeps getting better for Justin Upton. Just a week ago, the Angels left fielder agreed to a five-year contract with the team and on Thursday he was named the 2017 Louisville Silver Slugger Award winner in left field for the American League. Given to the best offensive players at each position, the Silver Slugger Award is the third of Upton’s career. In 2017, Upton put up several career highs at the plate including doubles (44), home runs (35) and RBI (109). 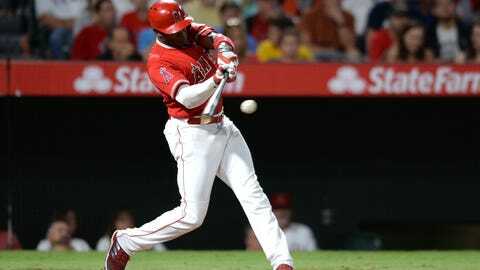 Upton is the eighth Angels outfielder to win the award and is in good company with the likes of Reggie Jackson, Tim Salmon, Darin Erstad, Garret Anderson, Vlad Guerrero, Torii Hunter and of course, Mike Trout.